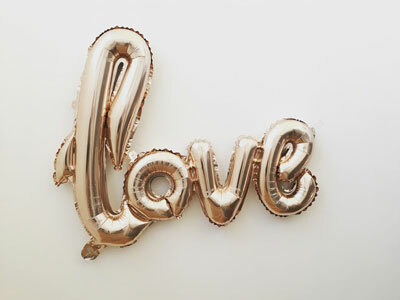 Valentine’s Day is only two weeks away, which means dating and relationships MIGHT be on your mind. For those of you looking for a love-inspired read to pick up this Valentine’s Day, you’re in luck. We’ve compiled a guide of 7 sweet books for every relationship status! If your relationship status is…. Searching for the right way to tell your crush that you like them…. 125,000 WAYS TO SAY I LOVE YOU by Pia Frey might be the perfect opportunity for you to make a grand gesture this Valentine’s Day. This love-struck flipbook has 3 sets of mix and match panels that consist of over 125,0000 different cutesy ways to express your feelings to your crush. You can tell your guy/girl exactly how you feel, without ever having to utter a single word! Single and trying to navigate the inner workings of the male species’ mind…. 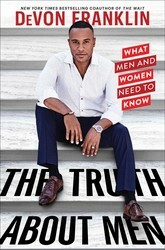 DeVon Franklin shares his insight into men’s opinions on topics like casual flings, relationships, and marriage in his book, THE TRUTH ABOUT MEN. This is the perfect read if you’re trying to figure out certain expectations and behaviors exhibited by the male gender in the dating world (who can make you want to undeniably pull your hair out sometimes). Casually swiping right on dating apps…. I’VE HAD A NICE TIME AND OTHER LIES is a great book if you’ve recently plunged head first into the world of online dating and apps. 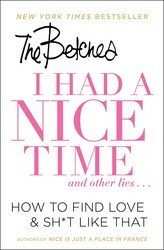 The Betches gives you the lowdown on their dating rules and expectations for those of you casually dating and hoping to stumble upon Mr. Right on Bumble, Hinge, Match.com, or wherever else you might be swiping left and right. Happily married to the Prince Harry to your Meghan Markle, or vice versa…. 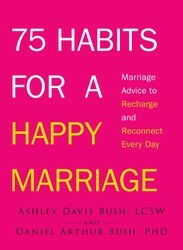 75 HABITS FOR A HAPPY MARRIAGE by Ashley Davis Bush and Daniel Arthur Bush gives you different activities you can do with your spouse. From expressing your thankfulness for your significant other to giving you tips on communicating–this book helps to spark up some new ideas for your marriage and relationship. For all of the independent ladies out there, you should pick up SINGLE STATE OF MIND by Andi Dorfman. This book is great if you’re a single gal exploring life in a big city. Dorfman shares her experience about being a woman in her thirties who doesn’t need a man and would rather put herself and her career first. In a stable, happy relationship while figuring out if your partner’s “the one”…. 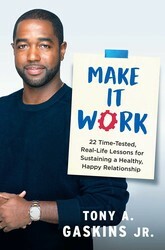 Tony A. Gaskins Jr. gives his insight into how to build and maintain healthy and happy relationships in MAKE IT WORK. This book is for anyone who’s trying to figure out if their relationship has what it takes to last and how to keep that spark alive while doing so. A single parent, hoping to put a smile on his or her kid’s face this Valentine’s Day…. 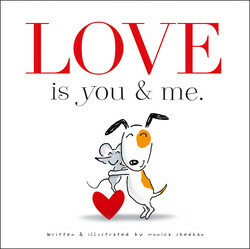 If you’re dropping romance in favor of quality time with your kids this Valentine’s Day, you should pick up Love is You & Me by Monica Sheehan. You can read this cute book to your kid before bedtime! Photo by Mandy von Stahl on Unsplash.